154 pages | 1 B/W Illus. This book provides a short, comprehensive and accessible introduction to Ultra-Realism: a unique and radical school of criminological thought that has been developed by the authors over a number of years. After first outlining existing schools of thought, their major intellectual flaws and their underlying politics in a condensed guide that will be invaluable to all undergraduate and postgraduate students, Hall and Winlow introduce a number of important new concepts to criminology and suggest a new philosophical foundation, theoretical framework and research programme. These developments will enhance the discipline’s ability to explain human motivations, construct insightful representations of reality and answer the fundamental question of why some human beings risk inflicting harm on others to further their own interests or achieve various ends. Combining new philosophical and psychosocial approaches with a clear understanding of the shape of contemporary global crime, this book presents an intellectual alternative to the currently dominant paradigms of conservatism, neoclassicism and left-liberalism. 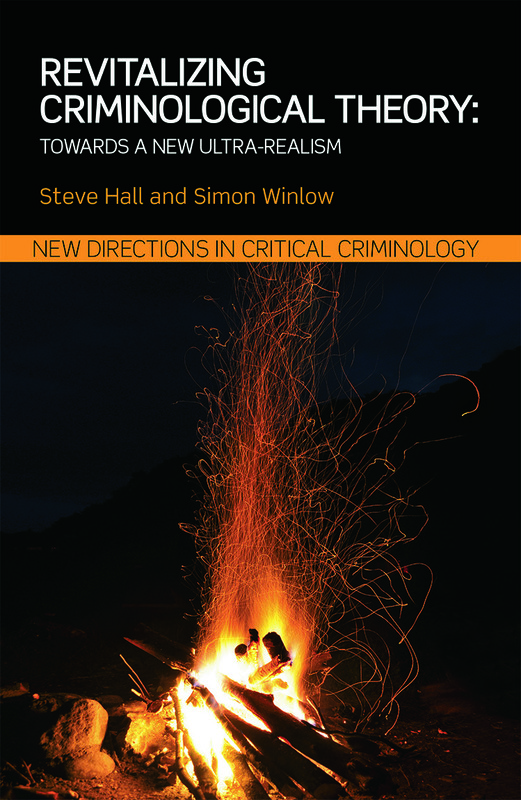 In using an advanced conception of "harm", Hall and Winlow provide original explanations of criminal motivations and make the first steps towards a paradigm shift that will help criminology to illuminate the reality of our times. This book is essential reading for academics and students engaged in the study of criminology, sociology, criminological theory, social theory, the philosophy of social sciences and the history of crime. 1. Introduction 2. Mainstream Classical and Contemporary Theories 3. The Critical Tradition 4. The Radical Realist Response 5. Untangling the Politics of Criminological Theory 6. Ultra-Realist Criminological Theory 7. Conclusion: Approaching the Reality of Our Times. Steve Hall is Professor of Criminology at Teesside University and Co-Director of the Teesside Centre for Realist Criminology. In the 1970s he was a nomadic musician, general labourer and avid reader of anything political or philosophical. In the 1980s he worked with young offenders in the deindustrializing North-East of England, and he was politically active during the steelworks and mine closures in County Durham. In the 1990s he began teaching, researching and publishing. Essentially a criminologist, he has also published in the fields of sociology, history and radical philosophy. He is author of numerous articles and Theorizing Crime and Deviance (Sage, 2012), and co-author of Violent Night (Berg, 2006), Criminal Identities and Consumer Culture (Routledge, 2008), Rethinking Social Exclusion (Sage, 2013) and Riots and Political Protest (Routledge, 2015). He is co-editor of New Directions in Criminology (Routledge, 2012). Simon Winlow is Professor of Criminology at Teesside University and Co-Director of the Teesside Centre for Realist Criminology. He completed his PhD at the University of Durham in the 1990s before commencing work as a researcher on the ESRC Violence Research Programme and a lecturer in criminology and sociology in various UK universities. He is the author of numerous articles and Badfellas (Berg, 2001), and co-author of Bouncers (Oxford University Press, 2003), Violent Night (Berg, 2006), Criminal Identities and Consumer Culture (Willan/Routledge, 2008), Rethinking Social Exclusion (Sage, 2013) and Riots and Political Protest (Routledge, 2015). He is co-editor of New Directions in Criminological Theory (Routledge, 2012) and New Directions in Crime and Deviancy (Routledge, 2012).